Responsorial Psalm for 6th Sunday in Ordinary Time, Cycle A. Text: Verses, The Revised Grail Psalms, © 2010, Conception Abbey and The Grail, admin. by GIA Publications, Inc.; refrain, Lectionary for Mass, © 1969, 1981, 1997, ICEL. Music: Michel Guimont, verses © 2011, refrain © 1994, GIA Publications, Inc.
St. James Music Press is now featuring two "top-selling" anthems each week that you may download without becoming a subscriber. If you choose to use one or both, the cost is $10 (per anthem). Just send a check by mail to St. James Music Press. Then make whatever copies you need and put it in your library. Yes, it's the honor system. They trust you. You will enjoy listening to these dramatic and spirited "readings" (demo performances) of music written by composer Sandro Fazzolari. The recordings feature members of Teatro Alla Scala (La Scala): Principals Sandro Laffranchini (1st Cellist) and Mario Marzi (1st Saxophonist). Sandro Fazzolari at piano. My friend, composer and arranger André van Haren, does engraving work for Sandro for his instrument learning books for students of all ages. Allmusicalkind is a Dutch music publisher of Classic & Unique songs composed by Italian-Canadian composer Sandro Fazzolari, Ph.D. Allmusicalkind theme books are available for beginner, intermediate and advanced students. The books are available for several solo instruments that can be performed alone or as a duo with the piano, guitar or harp books of the same title.The SPORTS books also work as a trio with cello. 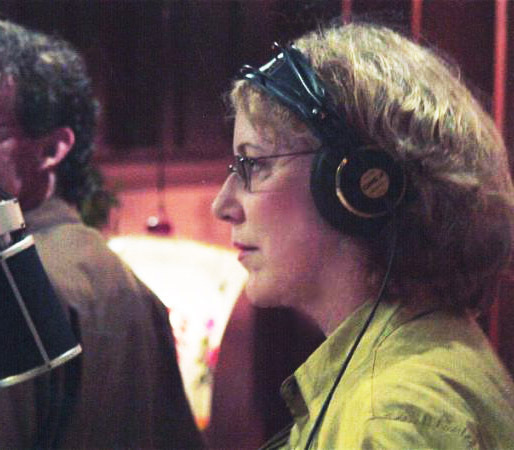 What if the music at our parishes was as moving and powerful as the Mass deserves? The David Initiative is a collaboration between many organizations/artists that dream of seeing this question answered. We know that in order to see this hope become a reality, we need to invest in a new generation of music ministers. Enter your Catholic parish in this competition to win music equipment or a year of liturgical music mentorship. Details at www.davidinitiative.com. Where: St. Therese Church, Alhambra, CA, and San Fernando Mission Church in Mission Hills, CA. OVER THE PAST TEN YEARS, a resurgence of traditional liturgy has occurred. We’ve documented official decrees, stunning statements, and concrete statistics, but we don’t publicly share the hundreds of messages from Catholics (laymen, priests, and nuns) bearing witness to a breathtaking grassroots movement. The road to improvement—as you realize—can be arduous, but we have some fantastic news. 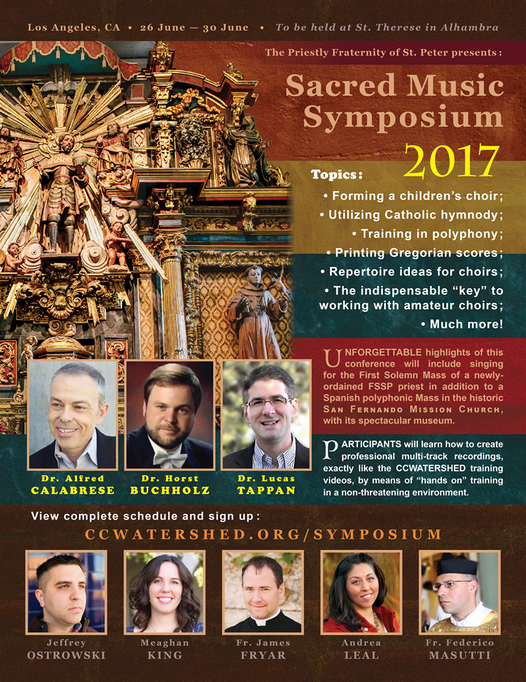 If you conduct a choir or enjoy singing traditional Catholic music, the Sacred Music Symposium is designed especially for – but certainly not limited to – those in need of “tricks” to help implement the Church’s treasury of sacred music without becoming discouraged. The schedule shows there is something for everybody: tips for starting a children’s choir; advice on repertoire; exploration of hymnody; and so forth. I am a #Catholic #Folk #SingerSongwriter inspired by Jesus' Teaching in the Gospel of Matthew 10:42 to give "a cup of cold water" to the least of the brethren for the brethren's sake. Following this Teaching, I have composed an Album: A Cup of Cold Water to give away for free to anyone who wants to hear it. As a part of this mission I have joined Top Catholic Songs to make my music available to anyone who wants to listen by Embedding my Album in this Story. Printed versions of the seven volumes can be purchased at Lulu. See links at bottom of above article at Corpus Christi Watershed.